Thanks for all the responses. Anyone have any experience with the Whirlwind PCUSB? How does that not just break the USB jacks right off the motherboard?! And no usable specs anywhere on the Amazon listing. "StageMASTER" is a ProCo name, but nothing like that on their site. I have been using this for corporate events instead of the headphone output from clients' laptops. I just loop the xlr cable under something to prevent it from falling or placing downward pressure on the laptop. besides above problem, i noticed that audio output will distort when master set to anything above 3'o clock. also have experience with an Focusrite Saffire USB (both USB 1.1 & USB 2.0 models/revisions) but they color the sound too much for me. In response to the last 2 posts, the OP requires 2 channel device, not single and doesn't need audio capture, just playback. I'm looking for options for playback interfaces for audio. 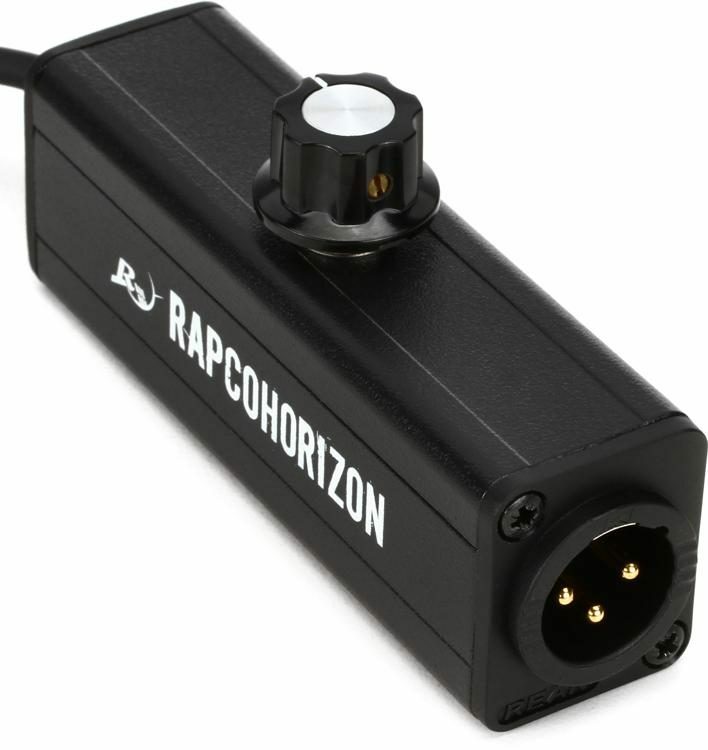 What i'm looking for is an interface that plugs into USB and will give me balanced outputs (XLR or TRS). I am familiar with the Peavey USB-P. I have also seen the Radial USB-Pro. I was just curious of any recommendations of other interfaces. I did a search on here and found a thread from 2011 about this. Considering that was 7 years ago I thought there may be better options now. Thanks. The Roland Octacapture is a nice little interface that won't break the bank. It has more features than just outputs, but that may not be a bad thing since it increases the number of ways you can use it. I own and use the Radial USB DI and have not had any issues with RFI. I wish there was a way to lock the USB connection (sort of like the wire gate you find on some D-plug/IEC connectors ), but some gaff tape usually fixes that issue. All of our Peavy USB DIs simply have the USB cable tie wrapped to the case. Unplug before transport , wrap the cable around the DI and they stay that way til the USB cable wears out. I wish there was a way to lock the USB connection (sort of like the wire gate you find on some D-plug/IEC connectors ), but some gaff tape usually fixes that issue. ....I changed the usb cable from the Peavey to the Mac, no difference, still dropping. I tried an old Tascam 122 and it works fine with no drops. I've checked my audio cables, no problems. Since the audio outputs fine to the analog headphone jack and it outputs fine to the 122 I don't believe it to be a software problem. This Mac Mini is used exclusively for music playback, nothing else. We have had some issues with the USB ports on our MacBook Pros going bad. I think they get loose over time and so lose connection to the connected device momentarily. From your trouble shooting steps, that's probably not your issue, but if you were always plugging into the same USB port on the Mini for audio, perhaps you should try one of the other three? I have an M-audio Fastrack Pro. Works fine, but kind of bulky for your use case. Also, only has 1/4" outputs. I like it because I can power it with a wall wart and use it as a tiny mixer that has phantom power. I thought there may be better options now. Thanks. AudioBox with 2 in and 2 out with transformers. Both use standard drivers and are powered via usb.